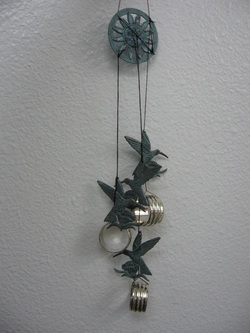 were wonderful stewards of the earth for this project. 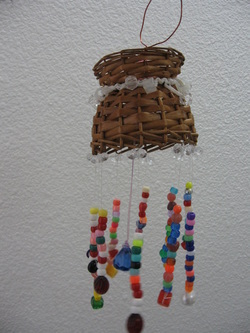 Heidi hung an old basket upside down and strung up pony beads to create sound. 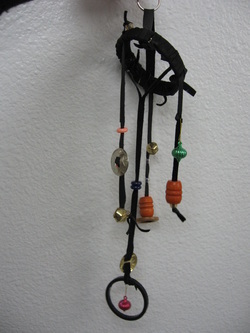 Tammy and Grace used leather straps, beads and bells. 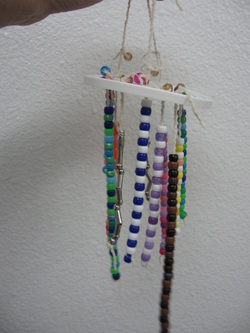 Renae used the lid from a margarine can and pony beads. 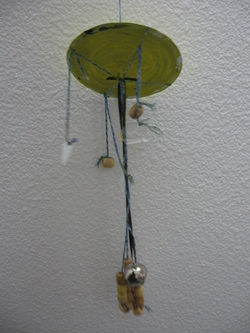 Natalya and Alex got an old wind chime from their mom and recycled it. 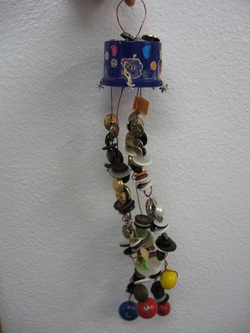 Carrie's mom helped her find a lid from a spray bottle and lots of old buttons to make a jingling noise.